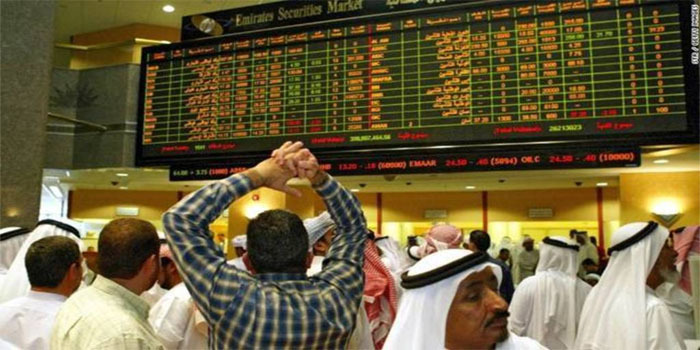 The Abu Dhabi Securities Exchange (ADX) closed Sunday in the red, weighed by real estate, telecom, and consumer staples. The general index shed 0.45% or 21.95 points to close at 4,884.92 points. The consumer staples sector retreated 4.79% after Agthia’s stock dropped 5.24%, while the real estate sector declined 0.86% after Eshraq Properties tumbled 1.67%. The telecommunications sector and its only stock Etisalat fell 0.59% each. Turnover amounted to AED 31.19 million, generated through the exchange of 19.35 million shares. The UAE’s twin markets will be closed for the Eid Al Adha holiday starting Monday, 20 August until Thursday, 23 August. Trading will resume on Sunday, 26 August.